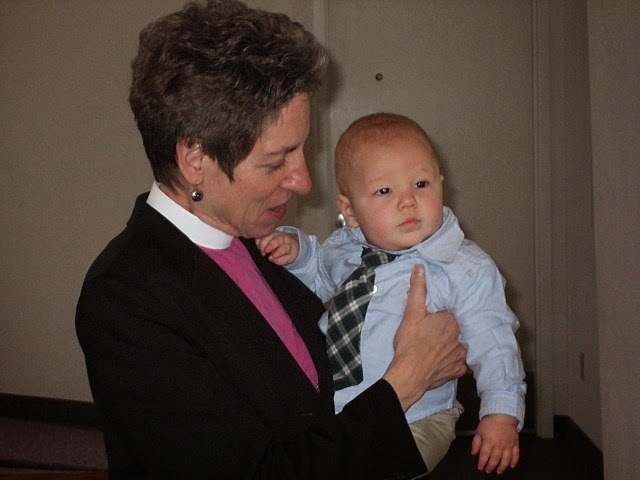 Real Anglicans in the Diocese of San Joaquin: "I Just Can't Believe I Ate the Whole Thing"
Today, I wish to reflect on the ultimate help the National Episcopal Church delivered to the diocese of San Joaquin, from a single individuals perspective. Realize that I may have tunnel vision on several issues but that is to be expected. First, the easiest thing to look at, at least superficially, is the financial state of the diocese. Any way one cuts this someone or perhaps, more importantly, some entity is going to take a huge financial blow. The diocese of San Joaquin has been given some gifts from the National Church but the diocese has also received millions of dollars in loans, and with a firm commitment to repay that amount to the National Church. Perhaps, one of the many reasons why no audit has been performed by an outside entity is due to the debt riddled financial statements. It is true, part of that issue involves the lack of full support by the various parishes that are and have been in the continuing diocese of San Joaquin. The rip torn by the defrocked bishop John David Schofield in the fabric of the diocese of San Joaquin warranted a completely new fabric but all the diocese got was needle and thread (and no sewing machine, we have been doing the sewing by hand. I for one can barely spell sew let alone do it). The lawsuits time, energy, funding, reviews, re-considerations, stays of trial dates and on and on and on have cost everyone their life savings. I am not a real estate appraiser but I suspect in order to stave off the National Church will require more than selling Christ the King buildings. It will take the sale of multiple buildings and re-building parishes all over the diocese. Why there is no long range plan to deal with property and the resulting return of all the property the diocese is merely shadow boxing in the dark. Second, how many bishops have you, in diocese other than those hijacked, seen come and go in 4 or 5 years? Maybe, under extreme circumstances two. 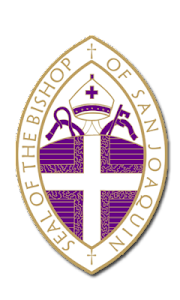 San Joaquin has gone through three bishops none of which were permanent including the current incumbent. Most parishes see a new rector about every seven years although there are noted exceptions everywhere (longer than 7 years). The problems with short term (job hopping or otherwise) tenure is nothing of real substance ever gets done. Think about how little really does get done in a diocese that has no money, no full time bishop, more lawsuits than the Supreme Court, and no parishioners! On top of that there appears (I stress appears) that there is little to no experience at the top with working with financially strapped organizations. Hard decisions get turned into a car contribution from the parishioners that cannot afford a rector picked to buy a car for the bishop. There is still very difficult, mean, feelings between parish and parishioners. Every administrator worth their weight will tell you that it takes at least 7 to 10 years of concerted effort to turn an organization such as this around, not just financially, but more importantly, spiritual life. And, while the national Church has tried to be helpful who needs a third thumb? Yet, they pull the strings of this diocese, not based on demand, because the diocese owes so much money all the National Church has to do is wave the notes and everyone in San Joaquin jumps. Third, the issue of planning. It appears that the diocese (and perhaps the chancellor) in collaboration with the National Church has a plan all their own and no one but a few choice regulars get a peek under the covers. But, even with that, the diocese has no real plan, not for recovery of the buildings and grounds and certainly not for any spiritual mission. This would be almost laughable if it were not so deadly. With no cohesive plan for the parishes to buy into the Episcopal Church in the diocese of San Joaquin is dead. It just hasn't fallen over yet. The Episcopal "chant" is "all are welcome". In that same spirit all comments from all people are welcome. 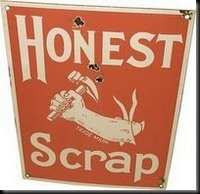 We require that all comments be vitriol free, no fascinating but ultimately rude words, and a thoughtful presentation. Dissent is welcome as no one has a lock on or owns God. Again, welcome to the Christ the King Epscopal Church.